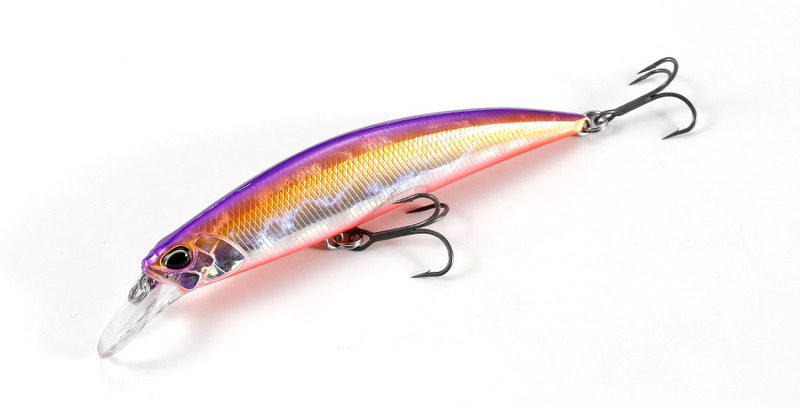 The flat yet heavy body creates a sharp action response for the heavy weight sinking minnow. Its action initiation is fast and is capable of staging consecutive twitching with rod work, within a short distance. It is also equipped with a high swimming performance able to deal with the ever complicating current of the main-river stream. Further, we have stabilized its flight posture realizing great casting distance and accuracy. You will be able to hit that sweet spot!! Ryuki 95S has a casting ability which rivals those moving weight models, capturing the large trout species running up the stream.